With San Diego Comic Con comes a load of new footage, posters and hype and in amongst all the superheroes there has been footage and a poster for Mad Max: Fury Road. I’m intrigued by Mad Max: Fury Road mainly because Tom Hardy is the titular character (and I tend to really like everything Tom Hardy’s in) and all the photos make the whole cast look awesome and badass. 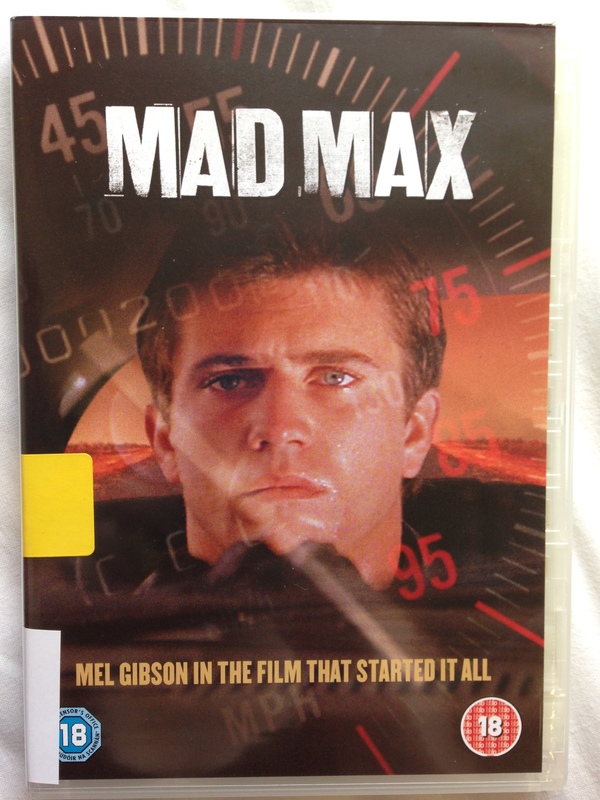 So because I know almost nothing about the character of Mad Max or the previous films or what to expect from Mad Max: Fury Road, I decided to rent the original three films from my University library and spend the weekend watching them. The car chase scenes were amazing and some of the violence and fight scenes did make me wince (it’s an 18-rated film from the late 70’s so it’s big on violence). Also, I’m not sure if this is all versions of Mad Max or just my Uni’s copy, but everyone’s voice was dubbed over (because clearly American’s can’t understand the Australian accent) which was a bit awkward and distracting. I liked Mad Max 2 a lot more than the first film. In fact it was the sort of film I was expecting the first one to be. The plot is simple – Max agrees to help a small, gasoline rich, community escape a band of bandits – but the car chase sequences are pretty spectacular. In a way Max reminded me a lot of the Terminator since he had so few lines and was so stoic and cynical with the whole post-apocalyptic situation. The whole dystopian look of the film was still awesome too – though I wish they’d stop killing dogs in these movies. After being thrown out of Bartertown by Aunty (played by Tina Turner of all people) Max is found by a group of children who have made themselves a home in the desert. The group of children really reminded me of the Lost Boys from Peter Pan or Hook since they all believe Max to be their saviour. This was way different to the other two! Whereas Mad Max 1 and 2 could be said that they have a very basic (or even no real) plot, Beyond Thunderdome probably tried too hard to have a plot and in doing so completely changed the character of Max. Also there’s the fact that the rating went from 18 to 12 so there’s less violence or even really good car chases. The action scenes are adequate for a 12-rated movie but it is still jarringly different to the previous two films. I didn’t love the Mad Max films but I didn’t hate them either. I liked the way they looked with all the interesting (but probably very impractical) post-apocalyptic fashion, and the car chases and action sequences were genuinely mad and spectacular because they really were destroying cars all over the place. Now the first trailer for Mad Max: Fury Road is out for all us mere-mortals who weren’t at SDCC to see and it really does look as crazy as the originals (though most notably the first two films). I am even more intrigued and will no doubt be going to see Mad Max: Fury Road when it’s released in May next year.